LabImage 1D is available in different versions for better fit of your requirements. 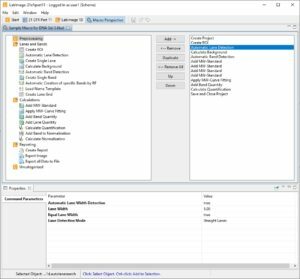 Ranging from a free version (L300) with basic features up to the fully automatable L360 – LabImage 1D provides the features you need. Minimize the time you spend on finding bands and lanes with the automatic and manual mode. 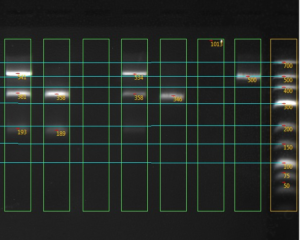 Even bent or non-vertical lanes can be detected by optimized algorithms. Adjustable parameters and manual correction support the process. Use the supplied standard library to assign molecular weights to the gel. 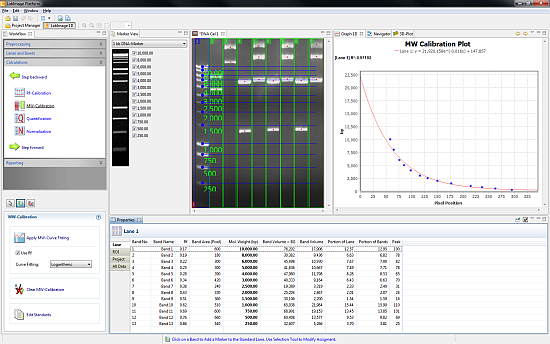 The MW calibration view lets you find the best out of six curve fittings for the gel. You can define own standards or download new standards from the web site. Present your results to others! A 3D gel view allows interpreting the results easily. To summarize your data you can create consistent reports and documentaries. Every report or data can be exported to other applications in standard formats. 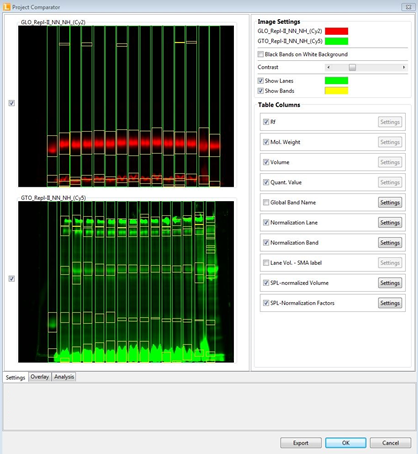 LabImage 1D L360 provides Macro features to fully automate the analysis of 1D gels. Macros can be applied to either single images or image stacks providing you the power of high throughput analysis. 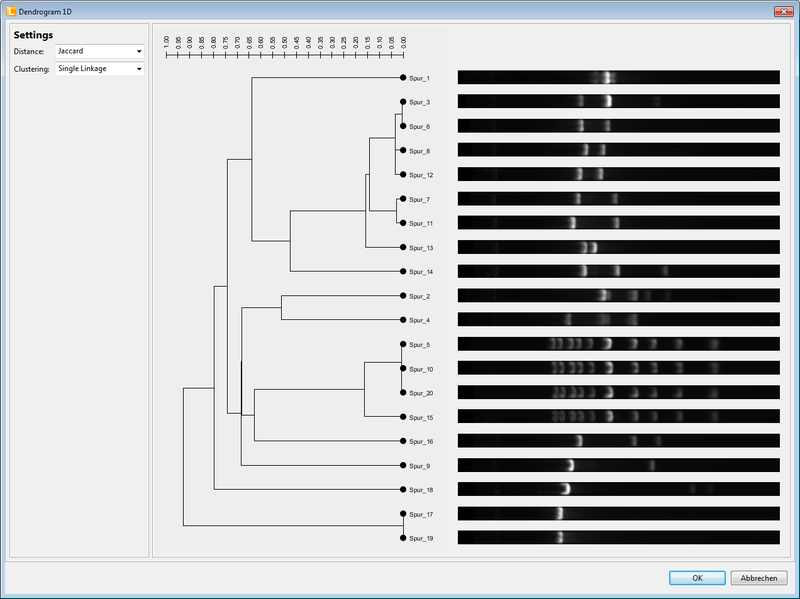 The dendrogram tool of the LabImage 1D provides an automated creation of dendrograms by solid mathematical algorithms. The cluster analysis thus supports the user in the evaluation of gels and blots. Integrated into the LabImage 1D the project comparator is a helpful feature for comparison of gels or blots within different projects. Today this tool already works in our special developmentLabImage SPL and is also available as a standalone application to run multi-channel normalization across gels and blots. Image Filters: Noise, Sharpen etc. Kapelan Bio-Imaging is a bio-imaging company from Leipzig, Germany. We develop and distribute software and imager for digital image analysis in research and routine. © 2019 Kapelan Bio-Imaging. All Rights Reserved.